19th May 2017: At a special press conference at the Royal Society in London on Friday, the Starmus Festival announced its new partnership with the prestigious Swiss watchmaker OMEGA. The Starmus Festival is a combination of science, art and music, and its goal is to help the general public understand and appreciate science. Since 2011, it has included performances and presentations from astronauts, cosmonauts, Nobel Prize winners and prominent figures from science, culture, the arts and music. 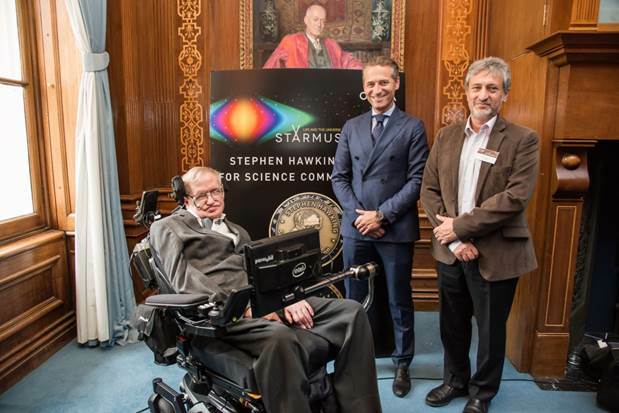 As part of its partnership, OMEGA is proudly supporting the Stephen Hawking Medal for Science Communication. The Medal recognises those who promote science through three different disciplines including Science Writing; Films; and Music and Art. 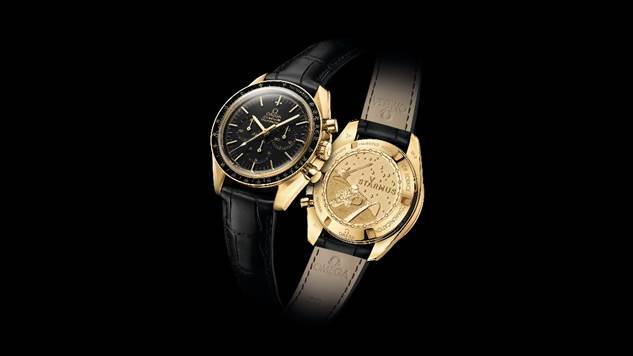 On June 20th this year at the Starmus Festival, the three winners will be presented with a brand new 18K yellow gold OMEGA Speedmaster watch. On the back of the watch, the brand has included a unique engraving that mirrors the design of the actual medal itself. This includes an image of the cosmonaut Alexei Leonov during the first ever human spacewalk as well as the “Red Special” guitar of Queen’s Brian May. Three other important guests were present on the day, including Professor Garik Israelian, the Founder of Starmus; Professor Claude Nicollier, the first Swiss astronaut and close friend of OMEGA; and Professor Edvard Moser, the renowned Norwegian psychologist and neuroscientist. Without doubt, OMEGA will be following the announcement of the Medal winners very closely and is looking forward to Starmus IV taking place this year from June 18 – 23 in Trondheim, Norway. The three winners of the Stephen Hawking medal will each receive an OMEGA Speedmaster Moonwatch Professional Chronograph. The 42 mm case and bezel are made from 18K yellow gold and the black dial also includes 18K yellow gold hands and indexes. The watch is distinguished by its unique caseback which includes the words “WINNER OF THE STEPHEN HAWKING MEDAL FOR SCIENCE COMMUNICATION”, as well as a laser-engraved medallion that follows the exact design of the medal itself. This includes the Starmus logo and images of Alexei Leonov during the first human spacewalk and the “Red Special” guitar of Queen’s Brian May. The watch is presented on a black leather strap and is driven by the famous OMEGA calibre 1861, virtually the same hand-wound movement that powered the timepieces NASA’s astronauts wore on the Moon.